How to humanely kill and look after tuna you catch to eat – for the recreational angler. 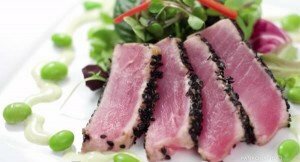 Tuna are a superb fish and if looked after, also superb to eat. We are indeed fortunate that we, as recreational anglers, can catch a tuna for the table. We need to respect this though. I’ve always been a keen angler, but I’m also a veterinarian. So I strongly believe that if we catch any fish to eat, we kill it as quickly as possible, just as we would do for any other animal. The good thing is, killing a fish quickly also helps maximise its eating quality. In this video I show you the steps to take that not only respect the fish by getting it in quickly and killing it immediately, but also other steps to help ensure that what you take home tastes terrific. 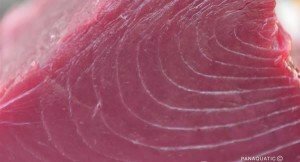 These steps are often only seen in the commercial capture of tuna, but this video shows how you, as a recreational angler, can take the necessary steps, out at sea, to preserve the quality of your catch, just like the professionals.